Katy’s business ‘Kate Monroe Artistry’ covers face and body art, airbrushing, fine art, photography, set painting, graphics and web design. She began face painting in 2012. Later that year the penny dropped with her technique and with designs influenced by her love of the dark, the weird and the wonderful plus an ability to create a final package, her work became noticed. As a result she was involved in the production of Soul Seekers Live scare attraction at Screamfest Burton and is now well known within the UK scare industry. 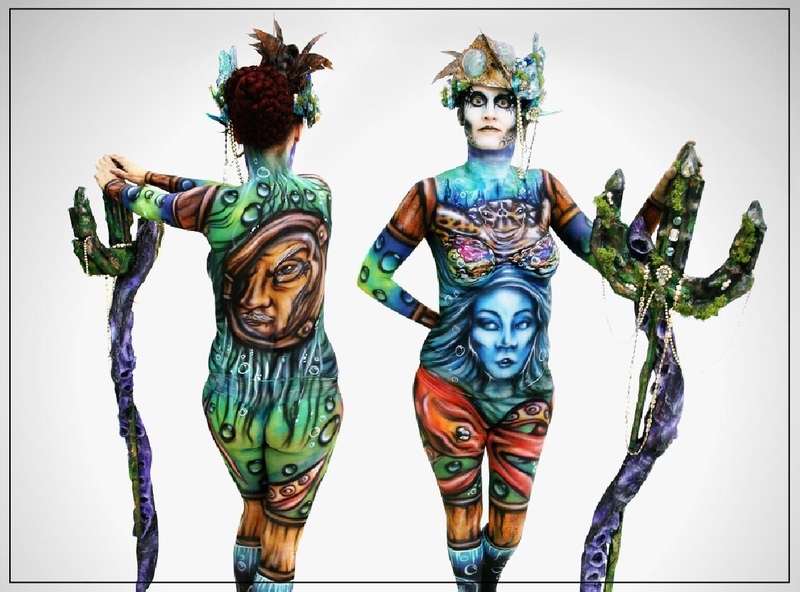 Kate began body painting in January 2014 and hasn’t looked back since. That year saw her win Novice Face Painter of the year at Paintopia Festival and the Postal Body Painting Competition at the UK Face & Bodypaint convention. She also painted live demos on behalf of the UK Bodypaint League at Kustom Kulture Blastoff Festival and The Prosthetics Event.So far 2015 has seen her reach 3rd place in the Solo Bodypainter of the Year competition at Paintopia, ranking above 30+ worldwide competitors, place 1st in Warpaint Magazine’s body paint competition at Pro Beauty North alongside picking up the ‘Pro Artist’ award, as well as demonstrating at this year’s ScareCon at Thorpe Park. She has also worked for corporate clients including Free Radio, as well as being approached for the Alton Towers VIP opening night for their Enchanted Village Hotel.